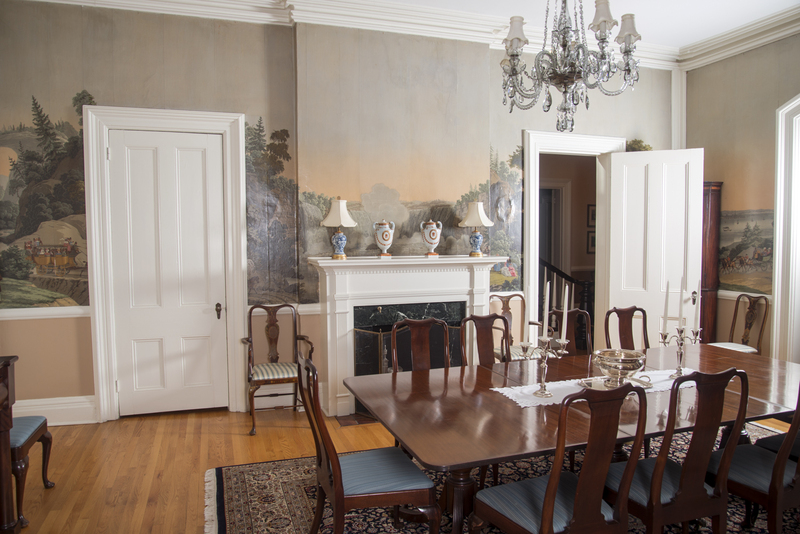 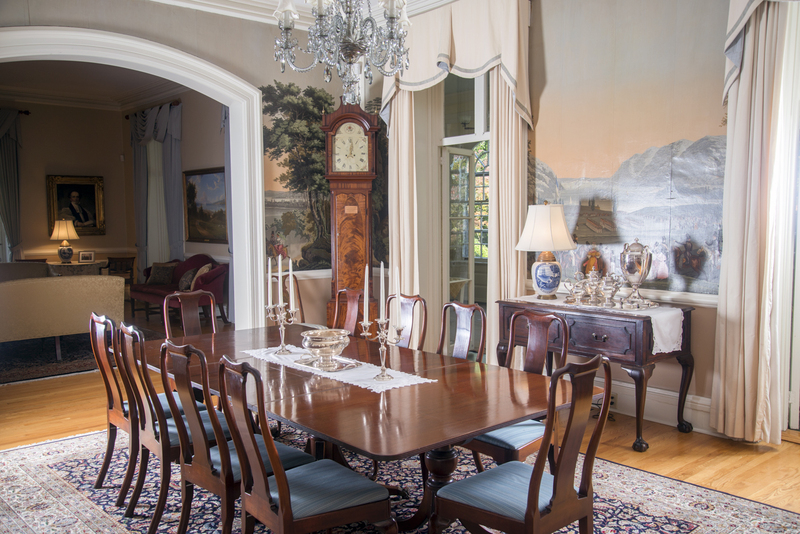 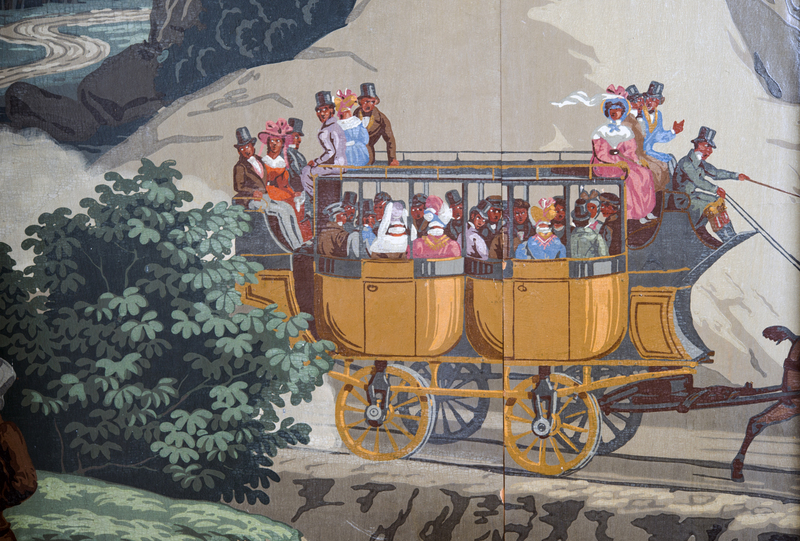 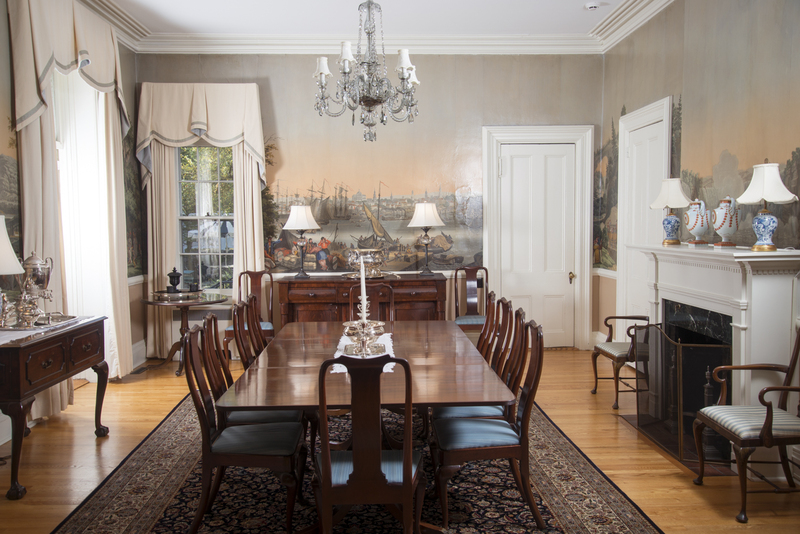 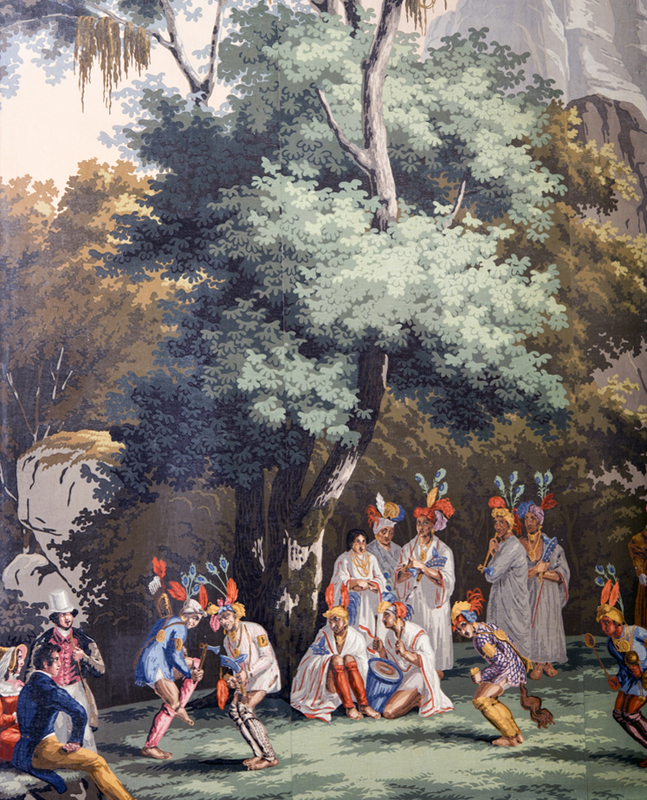 Zuber wallpaper, Views of North America, hangs in the dining room of the President’s House and was installed by the wife of college president Dixon Ryan Fox in 1934. 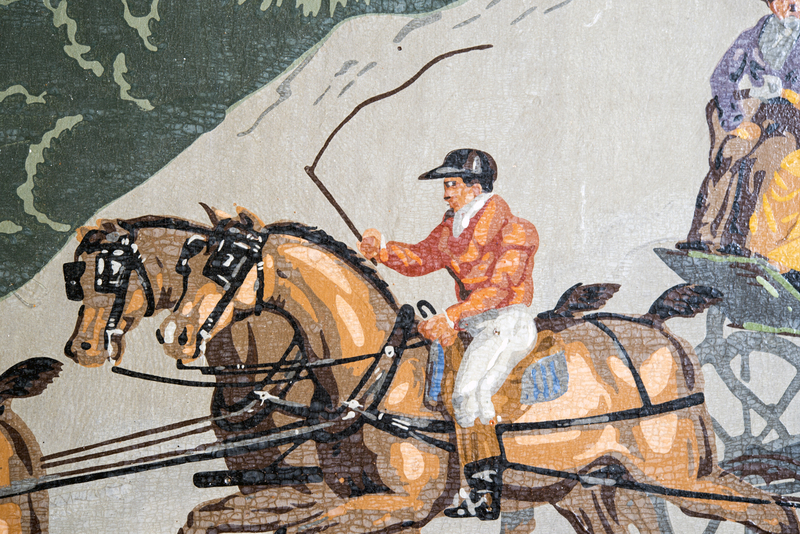 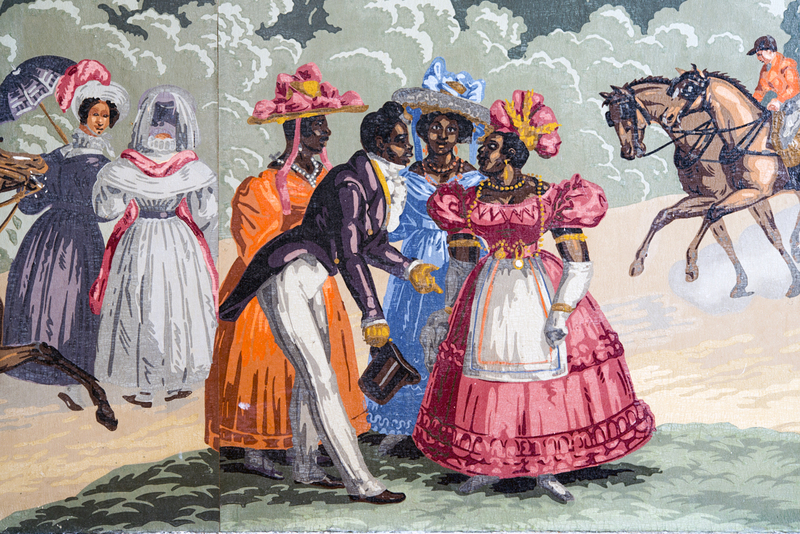 These wood-block printed panels were first produced in 1834 by Jean Zuber et Cie in Alsace, France. 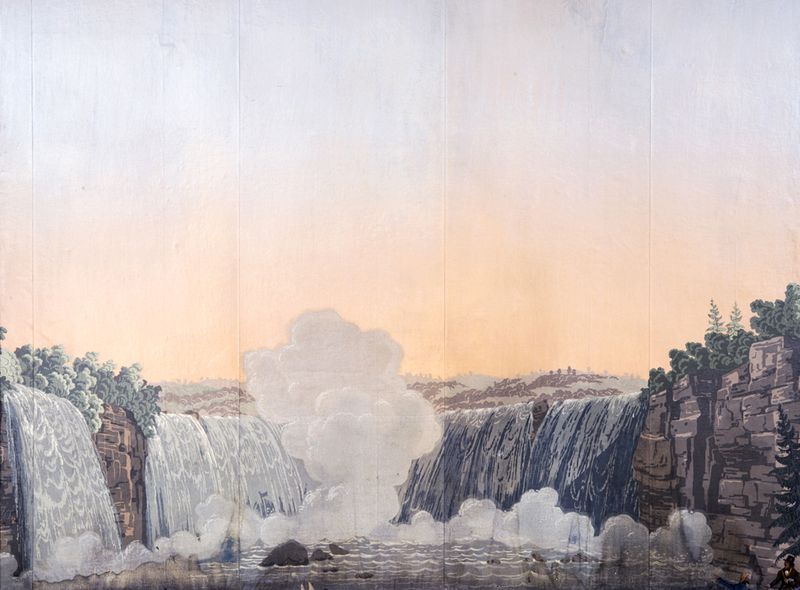 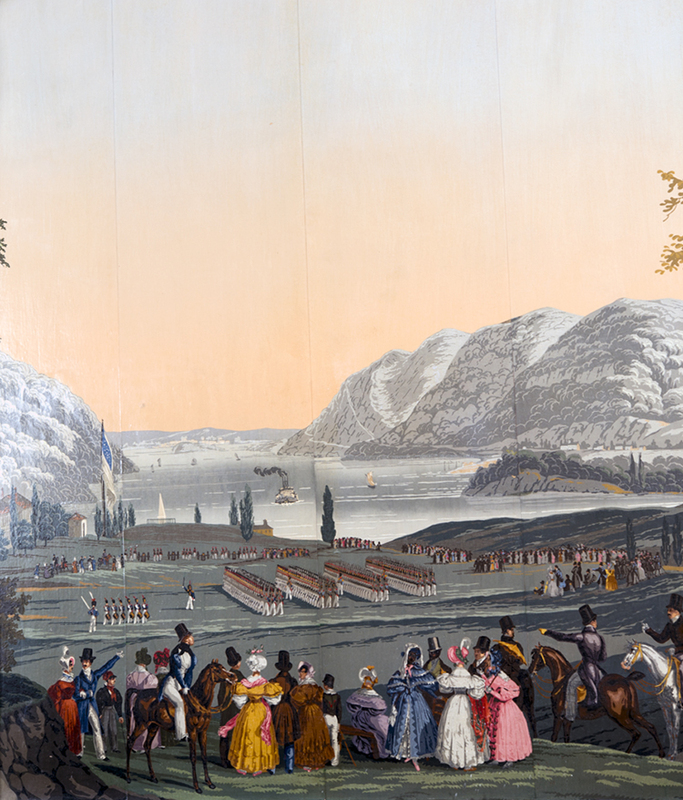 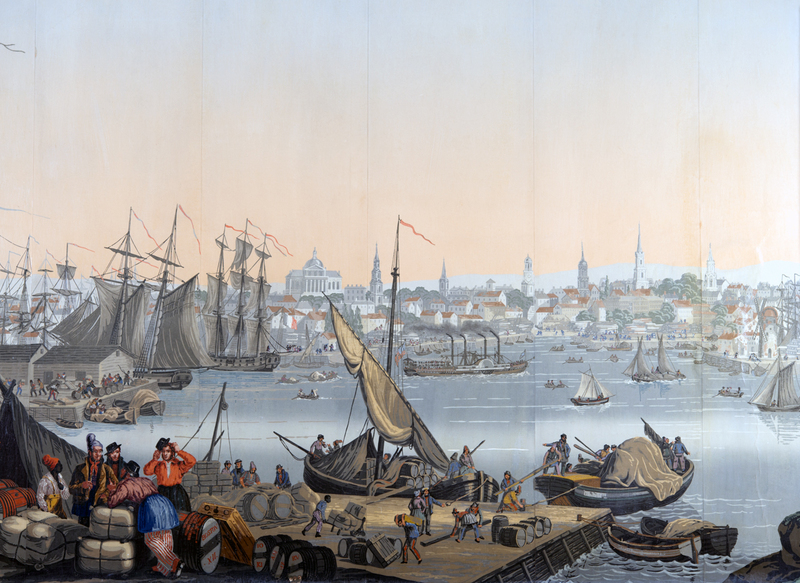 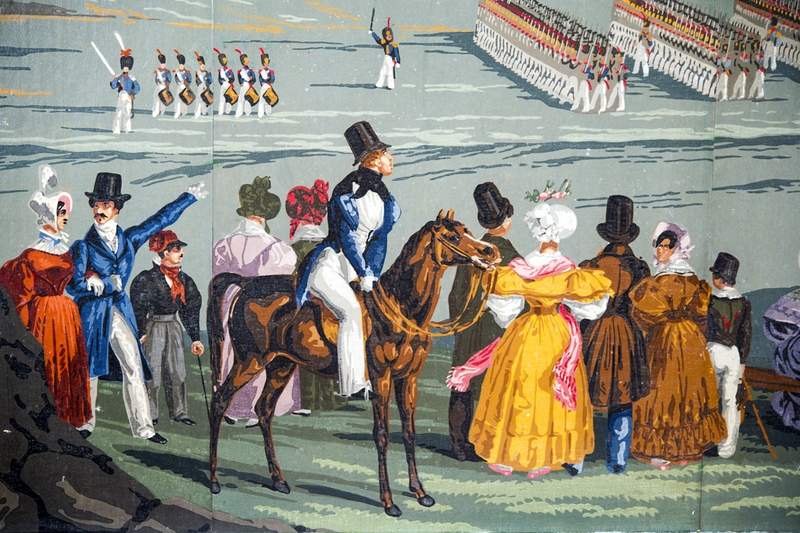 Each panel featured a different scene from North America, including Niagara Falls and Boston Harbor, as well as other early American points of interest.